This is the first of some posts I will make on my experiences with volcanoes. Hello Year 6, High Lawn. I have a package ready to send to you on the next mail. It should arrive by the end of next week (September 30) if all goes well. 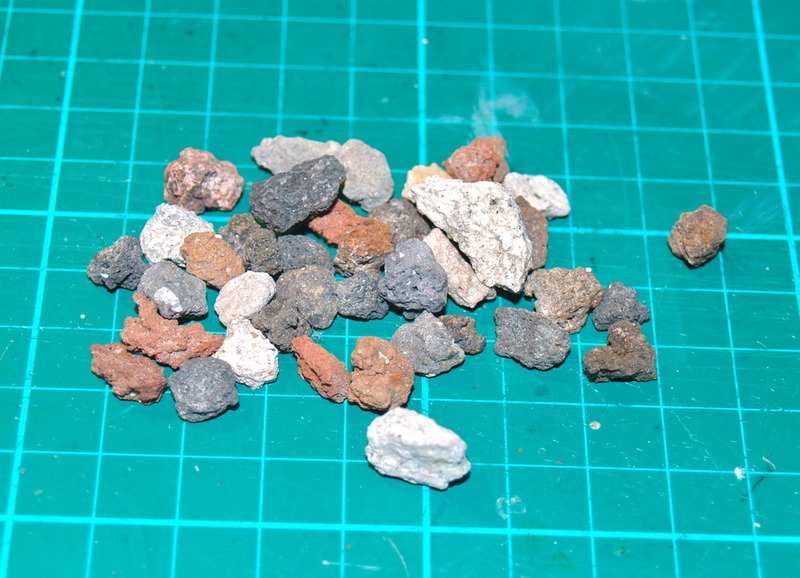 The package contains six small samples I've collected over a number of years. This initial post on this blog is to let you know a little about what is arriving. I will make more posts with greater details as I get time. At first, the posts will let you know what each sample is, how and where I collected it and a little bit about the place I collected it. Later posts will include photos and video clips I've taken in and around volcanic areas in New Zealand and Hawaii (the Big Island). I'll also try to add links to sites or video clips that may be of use or show what I am posting. I hope you like the samples. The photos were taken on a grid where each square is 1cm by 1cm so you can see the sizes. Scree from New Zealand. I collected this almost accidentally while making my way down to the bottom of a volcano crater. 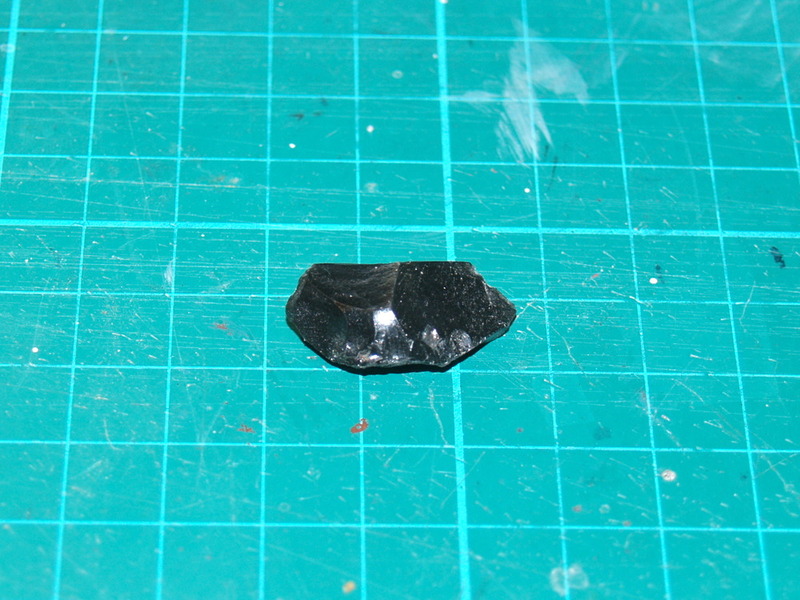 Obsidian or volcanic glass. Again, this sample is from New Zealand. 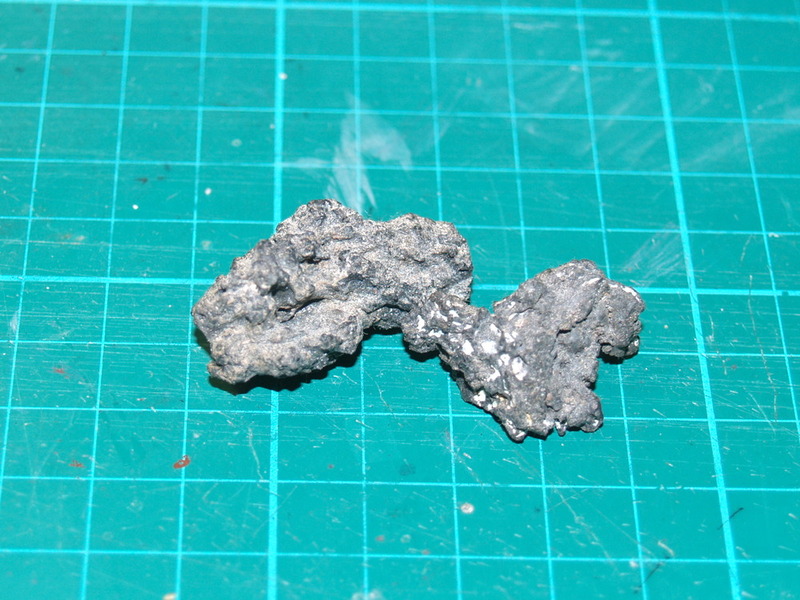 It also came from a volcanic crater although this was part of a piece I had bought. Iron sands. I collected this from a beach on the North Island of New Zealand. there, the beach is black with sand almost 100% pure iron. It can be picked up by a magnet. 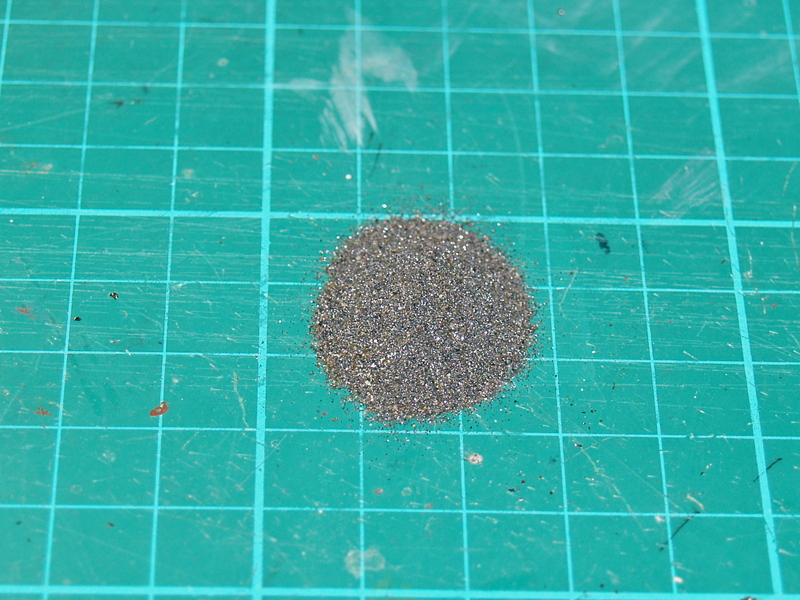 Despite being iron and in salty water, it doesn't rust and is much better to use than iron filings when playing with magnets. Pumice. 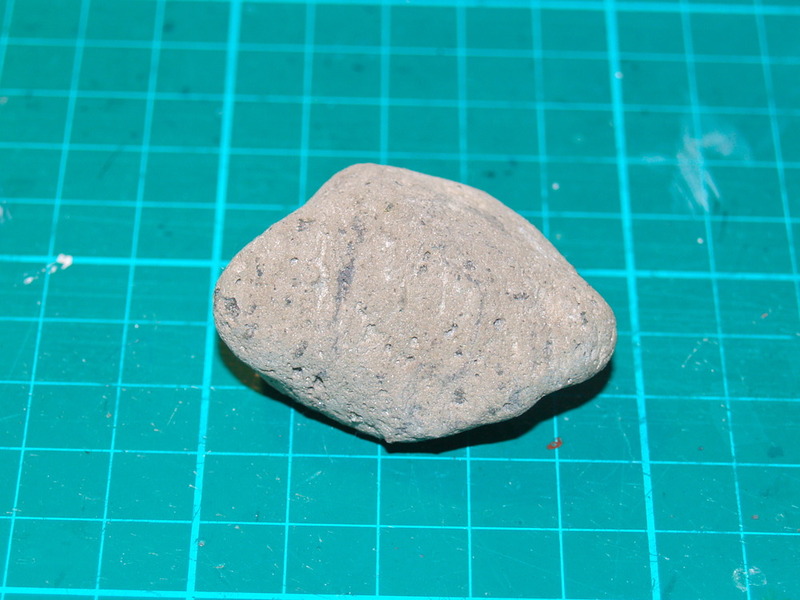 This is a very light rock which, if I remember correctly, came from a volcano under the ocean near Fiji. 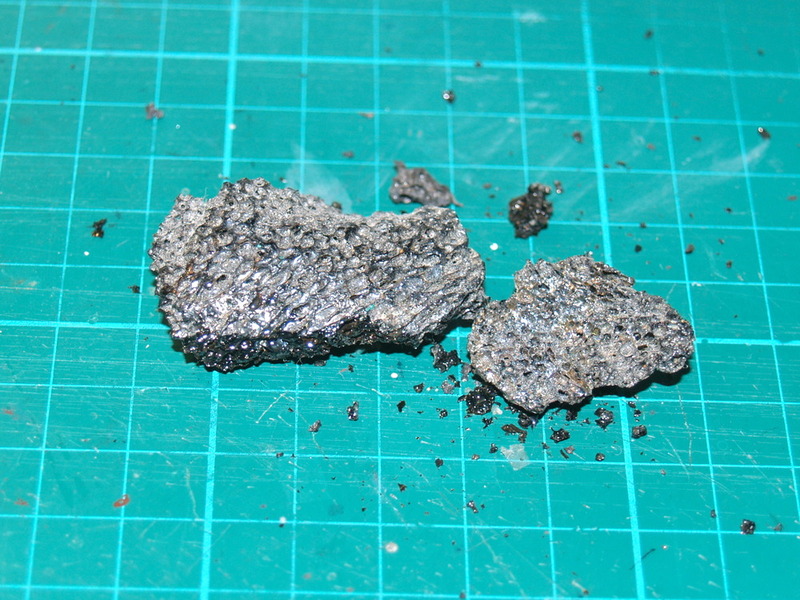 Large amounts in the underwater eruption floated to Australia. I collected this from a beach. A number os on the back of it. This was just a spare numbered sample from my collection. Pahoehoe is one of the types of lava from an Hawaiian volcano. Once cooled, it is the easiest to walk on. It breaks down into black sand. 'a'a is the second type of lava coming from hawaii. It tends to have sharper edges and is harder than pahoehoe. I like to think it's named that because of the sound you make if you walk on it barefoot when it is cooled. I hope you like your little collection from the other side of the world. My home town here was once a volcanic region but this was many millions of years ago. I see many traces it was once active but the above samples are much more recent and from active volcanoes. More on this later.